.. We might teach him the interpretation (ta'weel) of events. if you can read the writing. 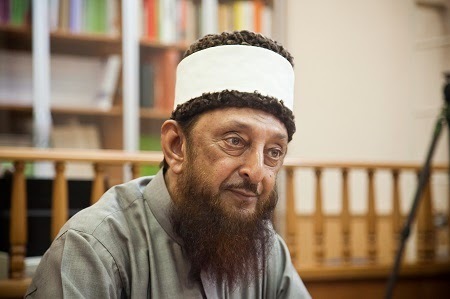 Sheikh Imran Nazar Hosein (born in the Caribbean island of Trinidad in 1942) is a contemporary Islamic scholar, thinker, philosopher and expert in Islamic Eschatology and International Monetary System. His knowledge in a number of subjects related to Islamic Eschatology is phenomenal and unparalleled in any time in Islamic history. He has for more than fifteen years been the lone voice crying in the wilderness now on the subject of Islamic Eschatology exposing the works of the agents of Gog and Magog, explaining how almost every Signs pertaining Later Days or End Times as mentioned in the Final Testament and by the Last Prophet are visible and how economic and political oppression have taken control over mankind by the works of the agents of Gog and Magog and how humanity is fooled in masses through grand deception of the archetype of deception (Masih al-Dajjal). Islamic Eschatology is the branch of Islamic scholarship that studies the knowledge of the Later Days or Final Age (‘ilmu akhir al-zaman) dealing with the end of history of humanity (the what and hows) with the culmination of the Day of Judgment or Day of Standing before the Creator or Day of Resurrection. 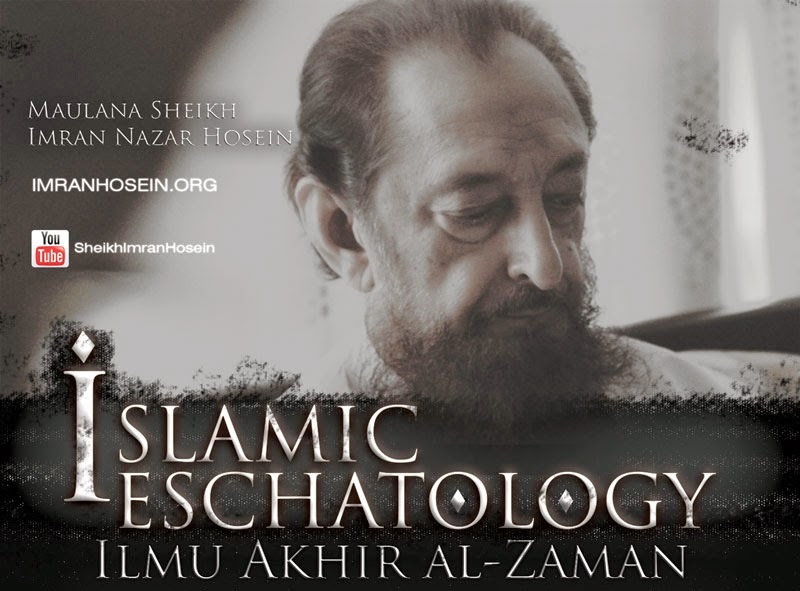 In fact the subject of Islamic eschatology even though has been such an important part of the Prophetic teachings in Islam and yet so far mostly ignored or misunderstood by the mainstream Islamic scholarship and credit has to be given to Sheikh Imran Nazar Hosein for not only to present this branch of knowledge to the world but also to present it with beautiful clarity of knowledge, broad understanding of contemporary world events as they are unfolding now as well as with subtle wisdom that touches the heart. There is no single Prophet or Messenger of God, peace be upon them all, who didn't warn his people about the nasty tests and trials of the grand deception or the false messiah or Anti-Christ. Prophet Muhammad, sallallahu alayhi wa sallam, being the final Prophet of God did so with far more urgency and in much more clearer terms of reference. These tests and trials will be so nasty that majority of humanity will become entangled in it unknowingly, they will lose their faith, they will commit blasphemy out of ignorance, they will indiscriminately disobey God's command by doing, consuming what is prohibited etc. This nastiness will drown humanity into universal consumption of usury, universal propagation of adultery and universal spread of oppression to enslave humanity in endless suffering. The Prophet during his lifetime warned his companions so much on the Anti-Christ that sometime they would fear that the Dajjal is probably hiding in nearby palm gardens. Prophet himself in one occasion did think of someone as the Dajjal himself (which later turned out not to be the case). This was precisely because during the lifetime of the Prophet Gog and Magog was released (according to authentic traditions) and marked the beginning of Akir al-Zaman, the Later Age. As days progress and we are inching towards the end of history (only Allah knows and decides it's dynamic moment), the subject of Islamic Eschatology is only increasing in importance. Significantly enough the mainstream Islamic scholarship hijacked by the agents of deception hardly ever talk about it and when they do for a little, they inundate it with misinformation and misinterpretation to keep the entire humanity in complete blackout of the subject. 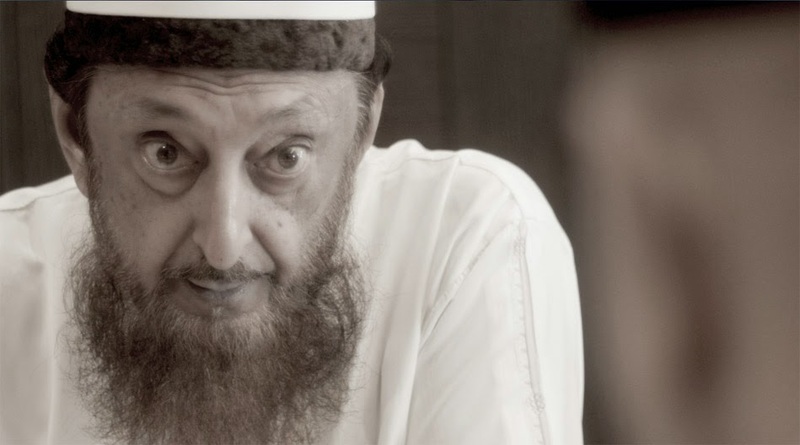 Anyone who is interested to understand the reality of the world today must listen to this man, Sheikh Imran Nazar Hosein. This is our sacred time and Sheikh Imran is one of the most important voice of this sacred time to recognize the Signs and Proofs of truth and falsehood. Sheikh Imran's background has put him in a perfect position for the exposition at this moment in time. He is a graduate of the Aleemiyah Institute of Islamic Studies in Karachi and has studied at several institutions of higher learning including the University of Karachi, the University of the West Indies, Al Azhar University and the Graduate Institute of International Relations in Switzerland. He worked for several years as a Foreign Service Officer in the Ministry of Foreign Affairs of the Government of Trinidad and Tobago which gave him a good insight on how the world really works. He gave up that official position in 1985 to devote his life to the mission of Islam. The credibility and high stature of Sheikh Imran need no further proof than his already achieved excellence in service to the Ummah both in education and missionary activity. He is a former Principal of the Aleemiyah Institute of Islamic Studies, Director of Research of the World Muslim Congress in Karachi, Pakistan, Director of the Islamic Institute for Education and Research in Miami, Florida, and Director of Dawah for Tanzeem-e-Islami of North America. He has traveled continuously and extensively around the world on Islamic lecture tours since graduating from the Aleemiyah Institute of Islamic Studies in 1971 at age 29, and he has also written more than a dozen books on Islam and contemporary world events. All of his books can be downloaded free of cost from his official website ImranHosein.org. 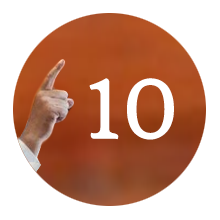 Here are top 10 reasons why we should listen and learn from Sheikh Imran Hosein. May Allah grant him long and sound life and may Allah protect and preserve him. May Allah send better understanding to all those who listen to him. Ameen. When people shreds Scripture, accepting some parts and rejecting others, natural way of life as Divine prescribed is destroyed. In Islam this also happened when people embraced Protestant versions of Islam, which see with only one eye, read Scripture only literally and understand only letters but no more. When the Dajjalic agents enforced Usury or Riba which is made haram (prohibited) by Allah, they made it halal (permissible) and accepted it universally, when Qur'an declares that Sovereignty belongs to Allah, they accepted a secular country as sovereign, when Allah said humanity is but one community, they embraced nationalism and divided humanity; when only Allah can create wealth, it is they who introduced bogus FIAT money that creates out of nothing and reduce humanity to destitution and poverty. All of these happened not by accident but by design of the deceptive system and the so called Muslim scholars are completely neither able to see for themselves nor can they warn others. So they made compromised, cosmetic Islam. Sheikh Imran offers to explain Islam in its totality by first exposing how Islam has been hijacked by those who see only with one eye, interpret things only with external knowledge. Sheikh Imran's analysis and explanation help understand Islam again in its totality and one can arrive at the complete picture of the level of guidance present in Islam be it economics, politics, legislative, environment, community and every other aspect of life of humanity. The Deen or 'the Divinely Prescribed Way of Life' has been perfected and completed and its high time that Muslims rediscover Islam in its totality. Sheikh Imran is the voice of our sacred time to explain Islam in its totality. When a religion continue to live in the past and through deception convince its followers that religion only means private ritual of worship while divorcing every other aspects of human life such as guidance for society including justice, legislation, economic activity etc. then very soon such a religion become a corpse while its vitality and spirit leaves its shell. Every religion began as a social revolution calling to establish social justice including call to dismantle oppression, calling for unity of people and the establishing a just society - thus at the heart of every religion there are very real issues that has to do with suffering of both individual and collective. Religion has the role to free people from oppression but over time almost all religion including Islam, the last of the Abrahamic faith tend to make it irrelevant by reducing the scope of its to how individual worship and nothing else. But that was not what religion is all about. There are many so called scholars out there who deliberately choose such subject matters of the past which never exposes their hypocrisy, their allegiance with corrupt power structure and which cunningly avoid any subject of oppression or injustice. Such scholars by accepting the corrupt as their master and check-payer is forced to make Islam irrelevant. Sheikh Imran tackle subjects which are absolutely relevant, very present in the present moment and at the same time fresh. He is not someone who talks about the past tense Islam. Study shows that around the world many young Muslims leave Islam (and same is true to young people of other religion) because Islam (or Christianity or Judaism) is no longer relevant, for thanks to the failed leadership and scholarship, religion no longer explain their lives, religion no longer can offer explanation and solution to the contemporary world and its reality. For them Islam (or any religion in that matter) has become a stagnant river of 'do and don't's for them. Sheikh Imran makes Islam relevant again, specially to those young minds who wish to understand the world today through the light of the Qur'an and Tradition and Sheikh Imran alhamdulillah, praise be to God is bestowed with a great gift in terms of making Islam relevant and contemporary again by interpreting the present and contemporary world events as they unfold. Those who control the world today and have managed to enslaved a majority of mankind into extreme poverty and destitution do so through their oppressive and unjust control of the monetary system. This mechanism of how this monetary system works is understood by very few people and needless to say, this understanding is not found among most of the so called scholars. Thus the world is taken on a ride by oppressive Zionist organizations such as the Federal Reserve System, Central Banks, International Monetary Fund (IMF) or World Bank. For example the IMF which openly declares in its article haram what Allah declare halal, namely using gold as money. Sheikh Imran studied monetary system in two universities and thus have a deep understanding of this subject, perhaps more deeply than any other contemporary Muslim scholar. Economy was a subject that never escaped the attention, instruction and guidance of the Prophet of Islam. In fact some of the most direct guidance of the Qur'an is about economy, be it personal or collective. The very last verse of the Qur'an is also on economic matter (verse on Riba and commandment to make all interests null and void). Its not by accident that most of the countries which have Muslim majority population, a big number of them live in substandard living quality, in extreme poverty and destitution because they have fallen into the trap of the Dajjalic banking system based on Riba and hence they profit at the expense of the masses. Muslim scholarship failed miserably in understanding this haram and fraudulent economic model that Bank of England and their agents planted everywhere in the world including in the Muslim world that deals with what Allah and His Messenger declared as Haram. Usury is prohibited by the God of Abraham, and yet Catholic Europe which until the French Revolution could fight Usury gave itself up and accepted Usury based Banking system which is mostly responsible for debt and destitution. It is by listening to Sheikh Imran Hosein that one begin to understand such fraudulent monetary system that no one else is talking about it with so much intensity that he does. And it is by listening to him that one can begin to understand how poverty is created, kept alive, regenerated again and again around the world, no matter how hard people work, no matter how hard people struggle. If anyone who is interested about Enlightenment, one can not be indifferent to Suffering and in today's world, for some time now, the single most responsible mechanism used to cause massive suffering to huge number of humanity is the oppressive and unjust Monetary System which help the rich grow richer and poor become poorer. Usury is such a system which benefit a small number of bankers and people at top by ripping off rest of humanity. Richest 2% in the world now have half of the world's wealth - and this didn't happen by accident but by the mechanism of Usury / Riba (no wonder it is prohibited in Old Testament, New Testament and the Qur'an). The heart of today's Monetary System is Riba or Usury or Interest and there are hardly any other scholar who is more clear and authoritative on this subject than Sheikh Imran Hosein. The Qur'an very clearly and in a number of places declare that it is a Book that explain everything, every single matter that goes on in human history. Not everyone can read the Qur'an and understand as it suppose to be understood, but those who are blessed by the Lord Most High with light of faith and Divine guidance for them Qur'an indeed become a Book that explains everything (tibyanan likulli shay-in). Unlike other Muslim scholars who have wrong methodology, Sheikh Imran employs Systemic Meaning to study Qur'an and Hadith and also his ta'weel is similar to Prophet Yusuf's ta'weel taught by Allah that interpret things not with their external value and appearance but by their symbolic as well as inner meaning. Sheikh Imran has this amazing ability to interpret world events in the past, present and future with the light of the Qur'an and also the Prophetic traditions. He is a kind of scholar who will make you see the truth of that Sign and Declaration of the Qur'an by explaining every single international event unfolding in front of our eyes in this contemporary world using the Qur'an and Hadith. Be it the conflict of Ukraine, Russia and Nato over Crimea or Arab uprising or Israel's aggression on Palestine. The corruption in the world has been spread by the same group of people about whom the Qur'an is very clear and they are busy spreading corruption in all fronts be it environment, economics, human relationship, politics, you name it. Sheikh Imran will help you understand the 'why' and 'how' of world reality through the clear lens of the Qur'an and Hadith. Sheikh Imran undoubtedly is the leading scholar of Islamic Eschatology in the world today, a subject that he has studied and researched very deeply for many years now. His eschatology is not based on wild guesses or predicting things out of whims but all of them are first of all based on Quranic Systemic Meaning (totality of meaning) as well on sound interpretation of the hadith literature on Islamic Eschatology. 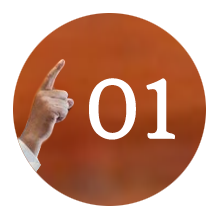 Also one can not see the deception of today's world unless one has training in important subjects that run the world such as monetary system, history of the world politics and western civilization - and Sheikh Imran also have studied those subject along with Islam which makes him the most successful scholar to connect all the dots in the light of Islamic Eschatology. His expertise on the subject of Islamic Eschatology is quite comprehensive and is not fragmented. The interpretation he gives are extremely logical and at the same time aligned with the Islamic sources. None has made the clarify before him regarding the stages of Dajjal, different dimension of time and space in playing out the role of Dajjal that it will play etc. He has positively identified the identity of Yajuj and Majuuj or Gog and Magog, he has positively explained Dhul Qarnain, the mysterious character (!) mentioned in the Qur'an, he has also pain painstakingly explained the role of Holy Land or Jerusalem in our time and time to come in his book "Jerusalem in the Quran" - book that should be read not only Muslims but also Christians and Jews, for it is equally important to all. As part of subject of Islamic Eschatology Sheikh Imran has put together the baffling zigsaw puzzle about the hadith regarding different phases of Dajjal as well as the spreading out of Gog and Magog. 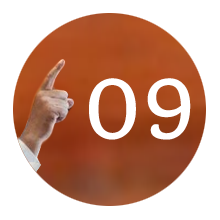 His explanation if anyone listen with a open mind and without running away at the intensity of the truth contained with them, within a very short period of time will become convinced about the explanation of Sheikh Imran Hosein. All those who listen to me shall pass on my words to others, and those to others again. And may be the last ones understand my words better than those who listen to me directly. When it comes to the subject of Islamic Eschatology, there have been scholars in the past who could not analyze the Prophecies of the Prophet regarding Akir al-Zaman simply because they didn't have sufficient data. As a result they couldn't see what is coming. But thanks to modern age where many of the Prophecies have manifested and data is available, Sheikh Imran is able to put together the zigsaw puzzle in full. That is why the Prophet said "the last ones may understand my words better than those who listen to me directly." So in this time if any one wish to understand the reality of the world today, the reality of Muslim world, why how things are as they are, what one need to do to return to the original model of Islam practiced by the Prophet and his guided companions, there is no one else better to listen to than Sheikh Imran Nazar Hosein. And this I (Sadiq M. Alam) can testimony with full conviction and may Allah protect us from errors. Ameen. We are living in a very dangerous time where the World Trade Center building 7 collapsed in free fall in only 6.5 seconds without anything hitting it. Then we are spoon fed lies after lies. We end up killing thousands of innocent lives around the world. We are living in a dangerous time where money is created from thin air by just saying "let it be done" and hence we call it FIAT money (the latin word fiat means let it be done) and that money is hoarded in millions of banks only to benefit the ultra rich and bankers at the cost of robbing rest of humanity. We are living in a dangerous time where Al-Qaeda is manufactured, and when lies are exhausted then ISIS / ISIL is manufactured with training, money and weapons only to create more military bases only to plan destroying another country, more innocent lives because how otherwise could you keep your industrial military complex going? The events that unfolded in our own eyes, in our life time are not by accident. They were carefully planned and executed by the mastermind of those who are agents of the Anti-Christ or agent of the Satan. Events such as Arab Spring Yankee or false Jihad in Syria that has now morphed into monster ISIS or ISIL, conflict of NATO with Russia. All of these events where predicted and analyzed at various time before they occurred and as they unfolded by Sheikh Imran. He has been mostly accurate in his predication, thanks to his insight and knowledge of the Quran that explains everything. He predicted the Arab Spring years before it manifested and top political analysts were scratching their heads, he predicted that Libya will become a NATO controlled failed state which it eventually did, he predicted bogus Jihahists will emerged out of Syria conflict and indeed ISIS emerged as a by product of Western Funded Syrian Rebels to topple Syrian regimes. If anyone listen to the talks by Sheikh Imran over last few years on subjects such as Arab Spring, Syria, Russia - Ukraine, ISIS, Libya and so on, one will be left amazed to see how a man can predict world events not only accurately but also with detail exposure of its wider implications. No other political analyst let alone religious scholar in today's world can come close to the truthful, honest and extremely brave analysis that Sheikh Imran is continuously presenting. All of these are open in public domain via youtube and other social media with original dates where Sheikh Imran made those speech. Riba or Usury or Interest is the most dangerous weapon of Dajjal or Anti-Christ. Islam has an uncompromising place for Riba and it not only Prohibits Riba it the most strong language but also it finishes the Divine Revelation by warning against Riba because mankind will be enslaved by the snare of Riba in this End Time. As the Prophet said, in the end time there will be universal consumption of Riba and those who dont directly consume Riba, the dust of Riba will be upon their head. Sheikh Imran has been lecturing, warning, educating people about Riba, the teachings in the Quran and Hadith and the danger of Riba for many many years now. Whereas other scholars of Islam mostly by pass this subject either fully knowing its importance or by ignorance, Sheikh Imran has been very vocal about Riba which is the weapon used upon mankind to enslave them. Christ himself declared war against Riba, Prophet Muhammad himself declared war on Riba and yet both Christians and Muslims are made fools in adopting this very system in masses by the fraudulent banking system of Anti-Christ that makes it universally accepted. Sheikh Imran will remind you that what Allah made haram (prohibited) and if you make it halal (acceptable and permitted), which is the case of Riba and all governments in the world including Muslims, this is shirk as well according to the Quran. Needless to say that it is Riba that rip off mankind. This being such an important subject and yet most traditional and popular Islamic Scholars chose to remain mostly silent on this subject - but not Sheikh Imran. He is not only an expert but very vocal for a long time, even when he was living and giving sermon in NY, USA. He has left USA for many years now but he is a relentless in raising voice against this dangerous weapon of Riba. This is the biggest tool of oppression and suffering for humanity and hence its an important subject to understand for common people so that they can save themselves from this grave danger. And Sheikh Imran is the best person to listen to on the very important subject of Riba. Since the later age is identified in the Abrahamic tradition as the age of Anti-Christ and this is a common thread for Jews, Christians and Muslims. All of them are aware that Anti-Christ will bring great suffering and destruction to humanity. This is all out there in the domain of Eschatology. The subject of Gog and Magog, the subject of Armageddon, the subject of Jerusalem, the return of Jesus Christ the Son of Mary at the last part of end of history - are all common to Jews, Christians and Muslims. The Western Christianity have long been corrupted. There are still more broader traces of truth in Orthodox or Eastern Christianity and Sheikh Imran's analysis of Islamic Eschatology has very remarkable similarity with the understanding of Orthodox Christian Eschatology as admitted by Orthodox Christian expert of the subject. For those who have failed to recognize the first coming of Christ (the Jews) and those who are waiting for his second coming (Christians and Muslims) have long been made to forget the subject of Eschatology and thus the fresh and insightful analysis of Sheikh Imran is extremely valuable to the non Muslim world as well. In fact they are precious gift to humanity. This is spiritual and religious sustenance for anyone who believe in One God, unity of humanity, the Last Day and the Kingdom of God. There are many scholars, the so called scholars who command great audience, are very popular in the world and are but puppet scholars who take fat pay checks from this government or that group so that they speak subjects of less controversy and keep their mouth shut against injustice, oppression and violations of Islamic ethics / principles. Sheikh Imran is not the kind of scholar who give his allegiance to any government or to any other interest group. He is not one of those scholars who have put a price tag on his scholarship so that he can be bought and sold at a price in exchange that he speaks only those subject that cause no or little uneasiness among the corrupts, the hypocrites and those who cover up truth. Thanks and Praise be to Allah that he is an independent scholar with backbone made of steel who speak for truth for the sake of Allah and His Messenger. He doesn't support any government in the world and free from such biases. Sheikh Imran is not a scholar who just talks theory and offer no practical solution. A responsible man of wisdom and insight can never do that. He has been not only analyzing and endlessly traveling and teaching but also have been offering very practical solutions which are exactly what the Prophet has guided mankind to in this Akhir al Zaman or Later days. His idea of Muslim Village, his idea for Muslims governments to form allegiance with Russia, bypassing corrupt banking system as much as possible, establishing market based on gold and silver - the sunnah money - are some of the solutions he is offering. He has outlined extensively the model of a Muslim Village as solution and to move away from big cities. This advice is given in direct reference to Quranic of destruction of big cities as well as hadith on Akhir Az Zaman where the Messenger said the best friend of believers will be his land, his animal and he must go to place of high altitude where rain is plenty. He has interpreted Surah al-Kahf brilliantly and identified it as a Surah that outline strategy for Akhir al-Zaman. These are not ordinary advices, they have precise logic and wisdom behind them for those who can read between the lines and who understand the nature of corruption and destruction that awaits mankind as part of destruction and trial of the Anti-Christ. 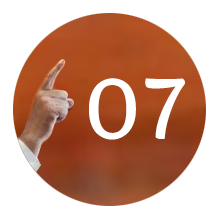 WHERE AND HOW TO LISTEN TO SHEIKH IMRAN HOSEIN? According to spiritual understanding of transmission from one human being to another, the best transmission occur in the presence, thus being near to the teacher works best. After that in this modern age the next best is to watching and listening to his voice directly through a medium such as a video, and when that's not possible the next best is to listen to him via audio only. Thus its highly recommend to get in touch with his teachings through the youtube videos made available by his students. For detailed study of the subjects, his books are definitely the next stop. 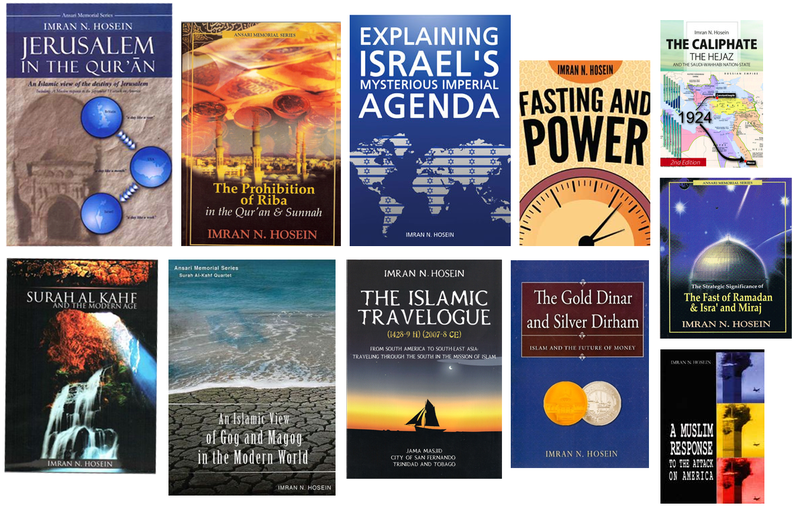 Below are some resources to begin your journey into this fascinating subject of Islamic Eschatology. May Allah bless Sheikh Imran Hosein for his tremendous effort, may Allah grant him good and long life and preserve him, may Allah protect him from harm. Ameen. May Allah continue to benefit this ummah and future generations to come from his teachings. Ameen. No copyright reserved. Anyone is welcome to share this article with or without credit. Eventually all credits belong to the Creator Lord of the worlds.